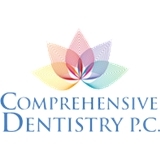 Comprehensive Dentistry P.C. (Melville) - Book Appointment Online! Belinda was amazing and so helpful from the moment I walked in and Dr. Bram was so attentive, gentle, informative and kind. They made me feel welcomed and calmed throughout my procedure. I have found my forever dentist office and would recommend them to everyone!